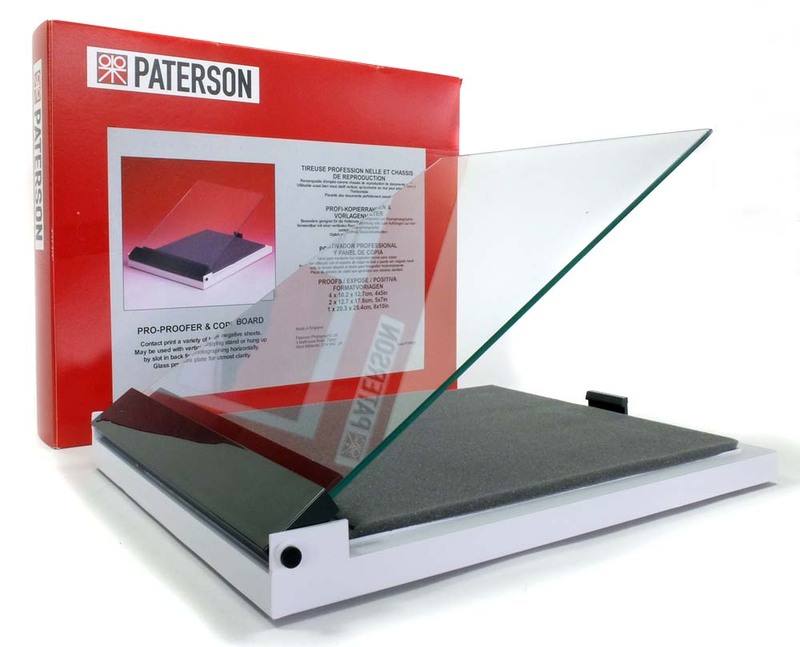 The Paterson plain glass Pro-Proofer facilitates the contact printing of four 4x5" negatives, two 7x5", one 8x10" negative. 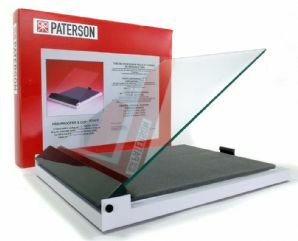 Alternatively can be used to hold prints up to 10x12" flat for copying. Very useful for making Contact Prints from paper negatives.